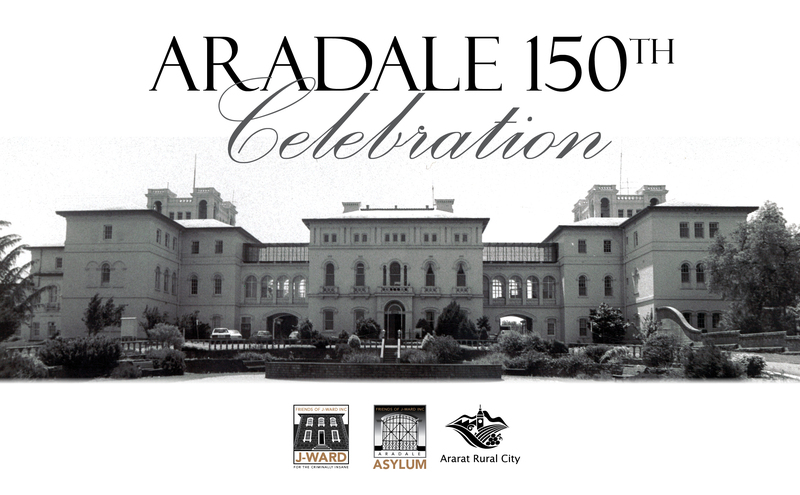 Anticipation is growing in Ararat ahead of the 150th anniversary celebration of the Aradale Mental Hospital in October, with bookings to the Saturday night gala dinner now open. Organisers have said many former staff members of Aradale have already indicated they intend to return on Saturday, October 21 to celebrate the important milestone and catch up with former work colleagues. Commencing at 2pm on Saturday, the public and former staff are invited to return to the iconic Aradale building for afternoon tea. The programme for the celebration will include an official welcome by Ararat Rural City Council Mayor, Cr Paul Hooper and an unveiling of a plaque. Reminiscences by former Psychiatric Superintendent, Dr Blair Currie will follow, then a look at the history of Aradale with a Friends of J Ward historian. Tours of those buildings which are able to be opened to the public will be conducted, along with afternoon tea. The celebration will end at about 5pm. A shuttle bus will run from the Town Hall Square for those who are unable to drive to the venue. The formal dinner on Saturday night will be held at J Ward, with tickets $60 each including canapas, drinks, and a two course meal. Bookings for this are essential and can be made via www.eventbrite.com.au or by visiting ‘J Ward Gaol and Ararat Asylum’ Facebook page. As a further attraction, a light and sound show will be projected on to the walls at J Ward, commencing at 9pm. This presentation is free and the public are invited to come and view the spectacular event. Ararat Rural City Council Mayor, Cr Paul Hooper said organisers have been busy putting the finishing touches of the celebrations in place. “Friends of J Ward members have worked hard on this celebration and everyone is welcome to attend to commemorate a significant part of Ararat’s history,” Cr Hooper said. “Former staff members of Aradale and J Ward are especially encouraged to head along and any memorabilia which could be placed on display would be very welcome. Information regarding items for display can be telephoned to the Secretary of Friends of J Ward on 5352 3357 or advised by email to jward@vic.chariot.net.au. For further details on the celebrations and link to book tickets visit ‘J Ward Gaol and Ararat Asylum’ Facebook page or www.jward.org.au.